Fox News personality Bill O’Reilly is clearly upset about the hacking scandal involving parent company, News Corporation, it’s UK counterpart and the big boss, Rupert Murdoch. Unfortunately, in this case, he’s not upset about being employed by an organization that has reportedly been involved in illegal activities. O’Reilly was speaking on his Tuesday show to Nile Gardner, a British member of the Heritage Foundation. 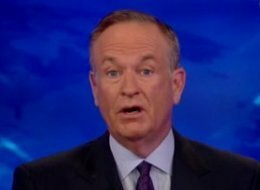 O’Reilly noted that the scandal was a serious one, and said that any guilty journalists should be prosecuted. But then, he said that the scandal was being over-hyped. Gardner agreed, saying that there was a “witch hunt” against Murdoch and News Corp developing in the United States. He may have been referring to an FBI investigation currently looking into allegations about the phone hacking of 9/11 victims.